Last year was the inaugural Operation Blended Warrior (OBW) event, which is now back even better in 2016 with live R&D exercise. The exercises are overseen by OBW Director Kent Gritton, who told the I/ITSEC Show Daily that the team was able to build from last years experience to develop a more complex event this year. “We did learn quite a bit from last year. 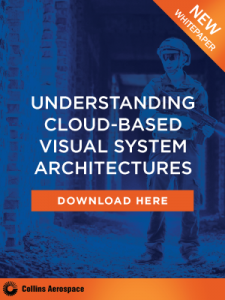 Things in the integration space, standards, some policy issues, different aspects and the advantages of cyber and some of the architectural challenges.” This year, the team will be injecting “live” assets from outside the exhibition center into the exercise. Rockwell Collins will be flying a L-29 jet training from a location in Iowa during the event this Wednesday. 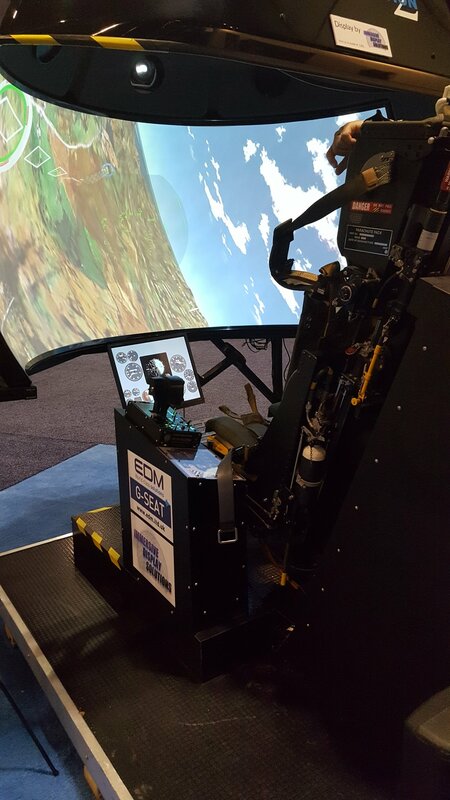 It will be integrated into the exercise on the show floor. 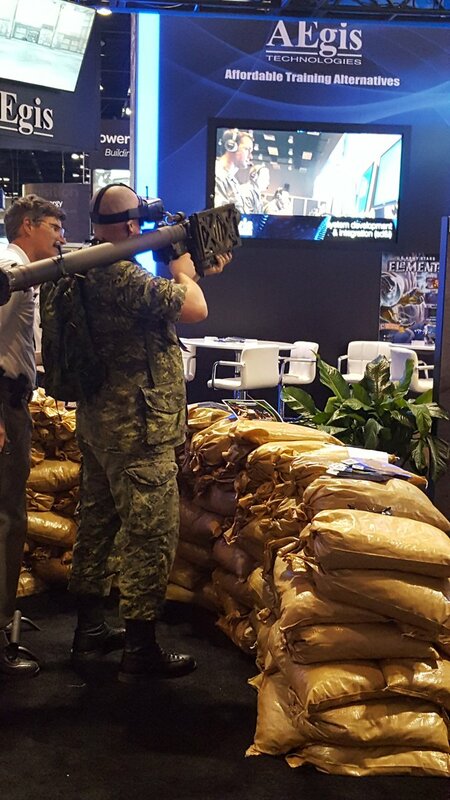 In 2016, I/ITSEC opened the show floor this week in its 50th year, reaching nearly 15,000 attendees and over 400 exhibitors. During the show, attendees will have the opportunity to experience 133 technical papers, 23 tutorials, and 19 educational events along with a variety of special programs. 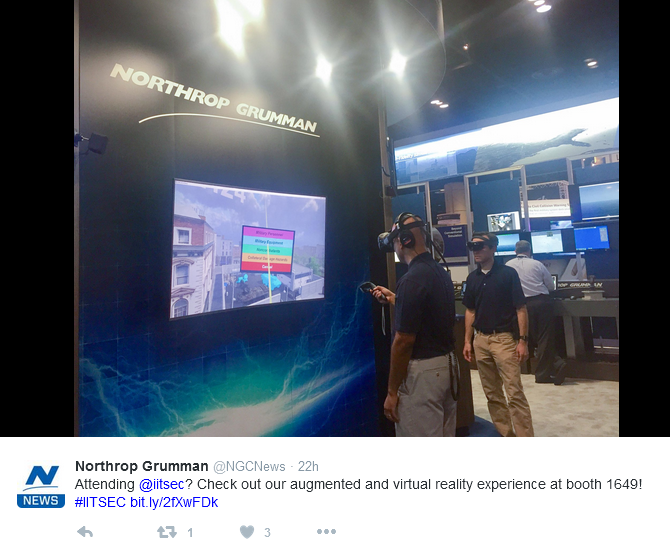 Walking through the I/ITSEC 2016 exhibit floor on the first day, it was filled with immersive demo stations. 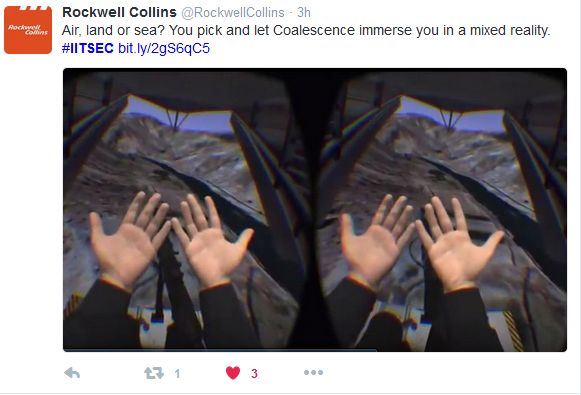 Here are a few of the ones we noticed and tweeted about. 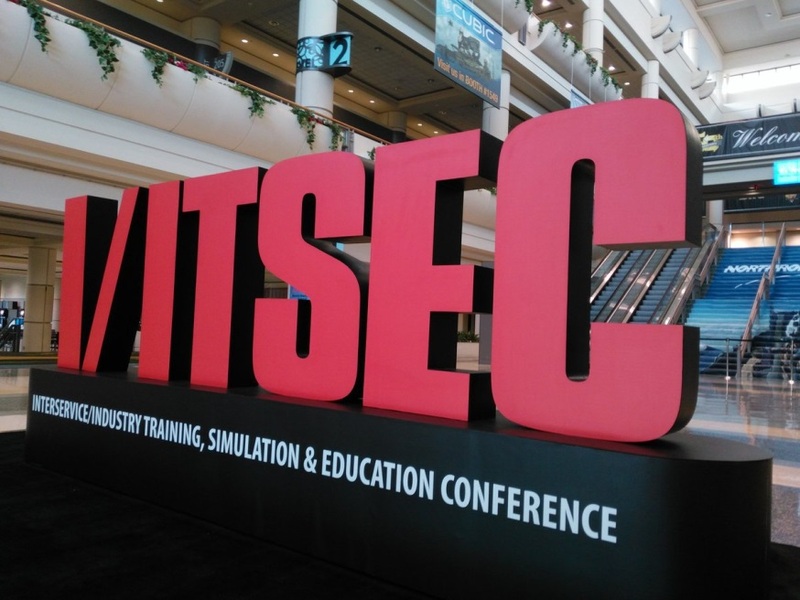 Join the conversation on Twitter and through social media using the conference hashtag: #IITSEC.